news: March Meet-Up - Let's Talk Taxes! Join APA on Tuesday, March 24, for tips for freelancers and small business owners on keeping good records for income taxes by Ron Ball, CPA. Ron has been in public accounting since graduating from ASU in 1974 and has been a CPA since 1977. He worked for other CPA firms for 16 years prior to starting The Tax & Accounting Specialists, PC, in 1990. Previously, Mr. Ball was promoted from a Staff Accountant to a Senior Accountant to an Accounting Manager and eventually a partner in a CPA firm for five years. He has experience in all areas of public accounting for small to medium size CPA firms--accounting, auditing, financial statements, tax preparation, tax planning and tax research. He was also responsible for an in-house computer system. In 2015, Ron will celebrate 25 years of being in business for himself! Tuesday, March 24 5:30 - 7:00 PM Mi Patio Restaurant, 3347 N. 7th Ave., Phoenix (7th Ave & Osborn) FREE!!! While this is a FREE EVENT, space is limited, so please RSVP to reserve your spot! 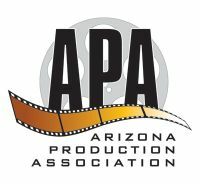 To RSVP, visit APA's Facebook page and click on "going."